Would You Pay $70,000 for a 2016 Ford F-150? The Ford F-150 Limited edition returns for 2016. The new model raises the luxury quotient to a point never before reached in a full-size pickup truck. The 2016 Ford F-150 Limited edition arrives this fall. The Ford F-150 Limited edition is back after a one year respite. 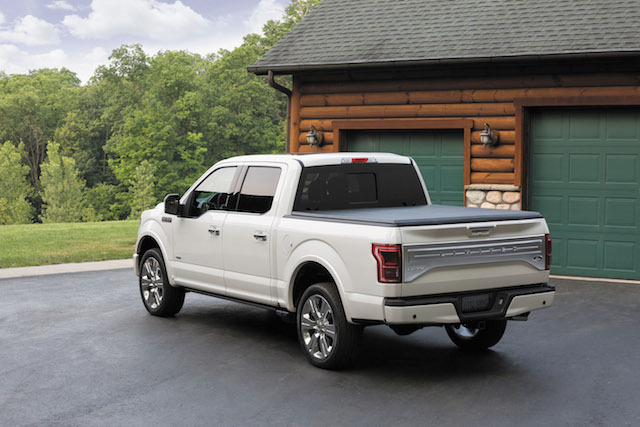 Introduced in 2013 and sold for two years, Ford temporarily shelved the Limited and four other trim levels as it worked on bringing its current generation and aluminum-bodied pickup truck to the market. Ford F-150 sales are down year-over-year, but that drop can be attributed to the automaker gradually bringing production up to speed. By this fall, F-150 production levels should return to normal and sales should also rebound. For those looking for the ultimate in pickup trucks, the F-150 Limited edition may be it, a model that may cost upwards of $70,000 when it goes on sale this winter. That price is definitely Lincoln-esque and we’re not talking about America’s 16th president. 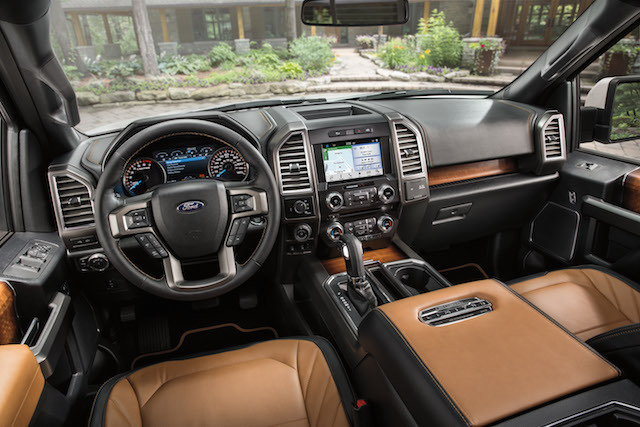 Rather, the F-150 Limited could just as easily find a home in a Lincoln dealership for its multicontour massaging front seats, mojave leather seating surfaces, genuine fiddleback eucalyptus trim, and unique instrument cluster. And Ford with the Limited is taking on the F-150’s chief competition, namely the Chevrolet Silverado 1500 High Country and the Ram 1500 Limited. Both competitors come bedecked in chrome and swathed in leather, but Ford says its Limited edition offers a number of features not found elsewhere. Those features include a gasoline direct, turbocharged engine, quad-beam LED headlamps, adaptive cruise control, a 360-degree camera system, LED side-mirror spotlight, a remote tailgate release and the multicontour massaging front seats. By the way, the Toyota Tundra Platinum edition is another model that might be cross-shopped with the Ford and its competitors. Ford will outfit the 2016 F-150 Limited with the larger of its EcoBoost engines, this one displacing at 3.5 liters and making 365 horsepower with an output of 420 foot-pounds of torque. This model is EPA-rated at 17 mpg in the city and 24 mpg on the highway. It has a towing capacity of up to 10,100 pounds. Other features included are: a blind spot monitoring system with cross-traffic alert, chrome front tow hooks on the 4×4 version only, a panoramic sunroof, power deployed running boards, and remote start. Inside, the F-150 Limited benefits from the third generation of the Ford SYNC communication and entertainment system, a Sony 10-speaker audio system, unique cuff plates with ice blue backlighting, and special floor mats. Also available is a technology package that brings in lane-keeping assist, the 360-degree camera system and a dynamic trailer hitch assist. Ford has yet to announce pricing for the Limited, but it is expected to approach $60,000 for the 4×2 edition. 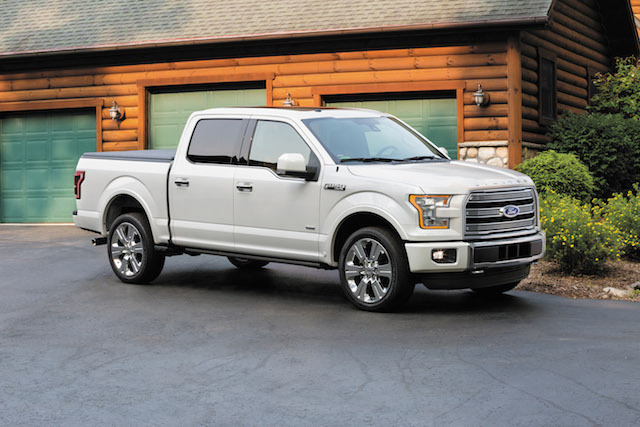 For 2015, Ford sells XL ($26,030), XLT ($31,320), Lariat ($39,310), King Ranch ($49,120), and Platinum ($51,585) editions. The high end of the pricing spectrum would be reached by choosing the 4×4 edition and taking every available option. Thus, a $70,000 price tag wouldn’t be a stretch. Like General Motors and Fiat Chrysler, full-size pickup trucks are big money makers for Ford. 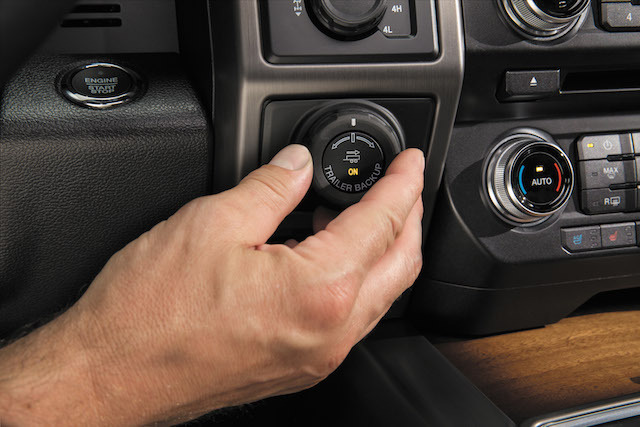 Manufacturers traditionally offer the largest incentives on these trucks and Ford has been offering incentives of up to $10,000 on some trucks according to Autos CheatSheet. Auto Trends, however, believes that the incentives are regional and do not reflect rejection of the new body style. At the same time, once production levels are at peak levels by year end, we’ll be better positioned to gauge consumer interest in the entire F-150 line. 2016 Ford F-150 Limited photos courtesy of the Ford Motor Company.